Beauty: Batiste 2 in 1 Dry Shampoo and Conditioner. - Daisy Chains. 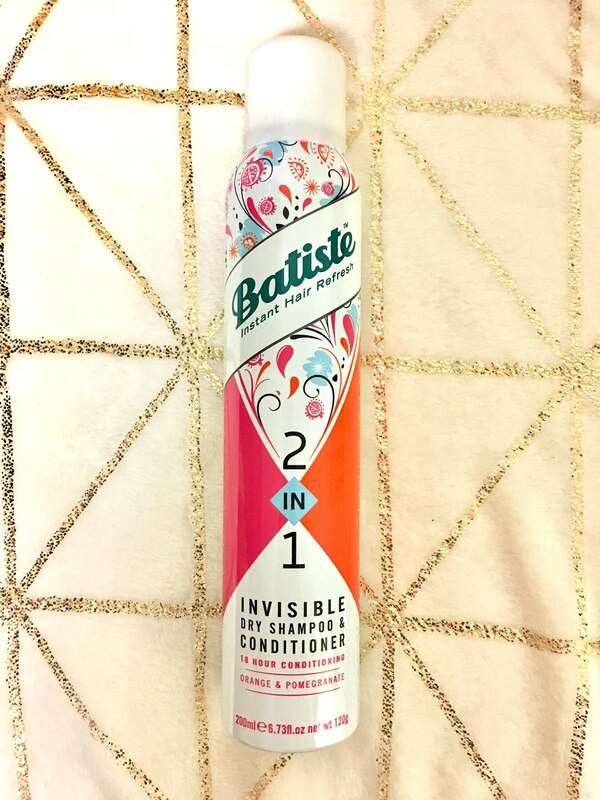 Beauty: Batiste 2 in 1 Dry Shampoo and Conditioner. Hello all! 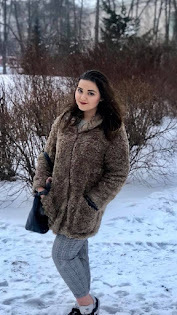 Here's another beauty post from me. 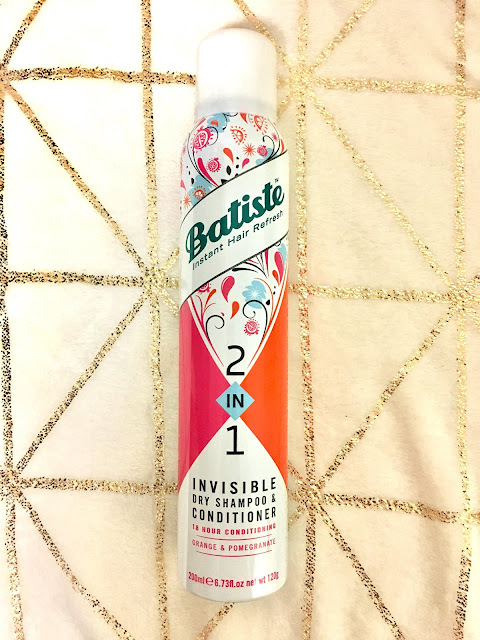 I recently bought the Batiste 2 in 1 Invisible Dry Shampoo and Conditioner to try out as I had been reading so much about it that I had to try it. I am personaly not a fan of the original batiste dry shampoos, so I was a bit skeptical when I initially decided to try this. I went into boots personally to pick out a scent that I liked. Out of the options they had for sale I picked the orange and pomegranate variety of this which I thought was a lovely scent. Right so the bit about me trying this out. I used this whilst I was away over bank holiday weekend in August initially and it has lasted me quite a few months as I am not one to dry shampoo my hair regularly. In fact, I am a big fan of washing my hair every day as if I do not I feel quite grimy easily. My opinion on this is that it makes it easier for me to feel less grimy about skipping a wash. Unlike the original versions of their dry shampoo, the 2 in 1 variety doesn't seem to make my hair go overly chalky. This is very easy to blend out and because it is also conditioning, my hair feels soft and strong after I have used it. I have also used in the past their instant conditioner which comes in a purple bottle that I bought for Glastonbury festival last year. Between the two, I personally prefer this one for the obvious reason that it is one less bottle to be carrying around. Furthermore, this itself is a lot more nourishing on the hair compared to the solo dry conditioner spray that they have/ had (I haven't seen it in awhile so I'm not too sure they still sell it). I am very impressed that this keeps your hair smelling clean and feeling fresh the whole day and for much longer than their original formulas. I think that this is something that I will be repurchasing again in the future if I go away again soon. What dry shampoos do you guys like? Do you have any recommendations, I wanna give them a try if I can get them in the UK.